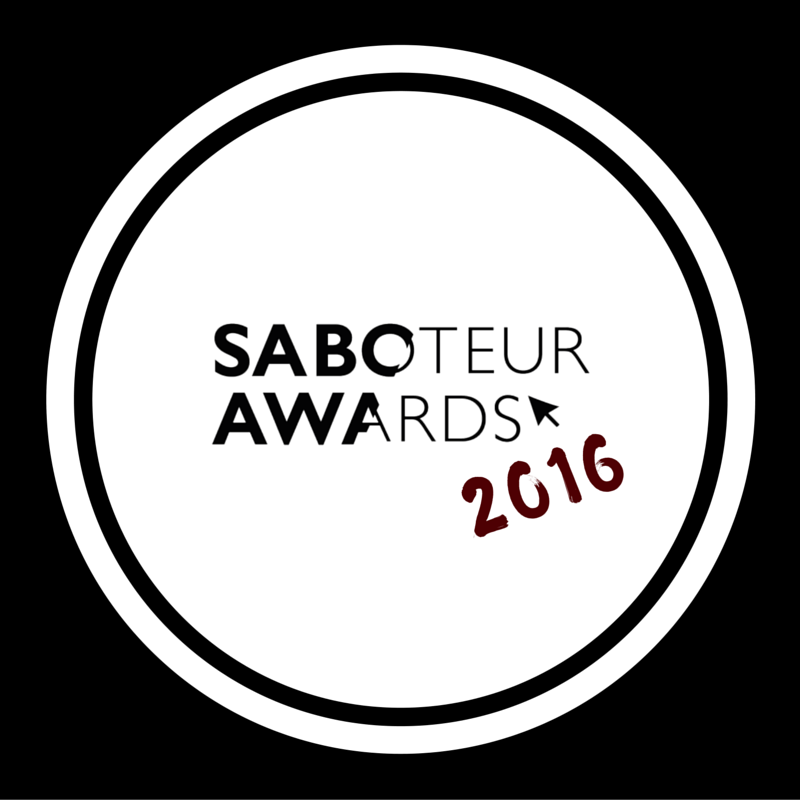 Over a thousand people placed their nominations to determine the shortlist for this year’s Saboteur Awards. The shortlist represents the works, writers and publishers who received the most nominations in each category. From a Pakistan-based online magazine, to a one-off performance in an eighteenth-century grotto, the works shortlisted have enormous breadth. The shortlist includes young writers at the start of their career alongside more established voices. 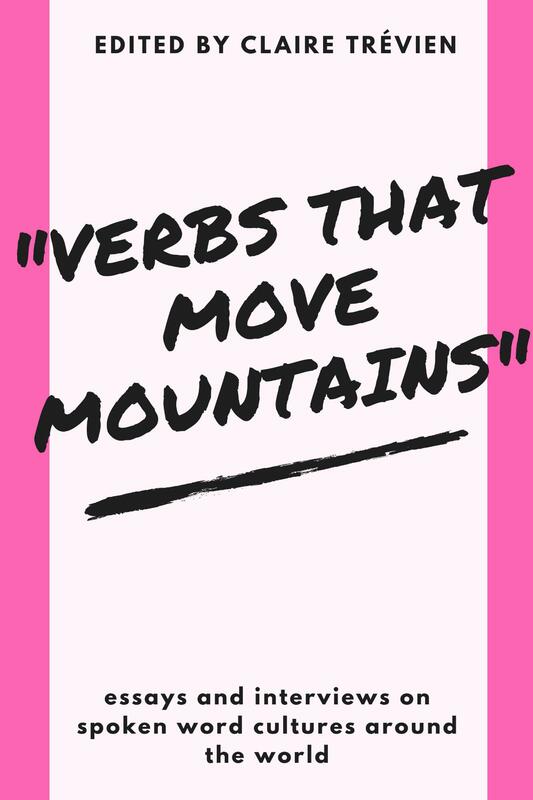 It counts collaborations between different art forms, works that re-imagine what writing can do, events that challenge how writing can be presented. In the meantime, you can VOTE, or book a ticket to the awards (these will definitely sell out). Saboteur Awards – The Results! 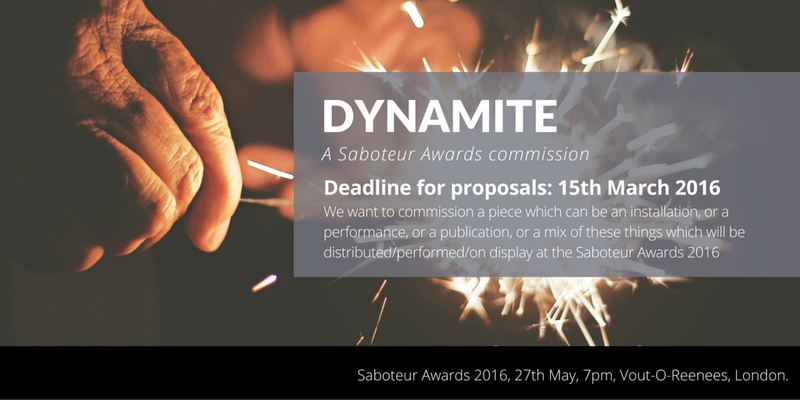 May 28, 2016 Editor Comments Off on Saboteur Awards – The Results!